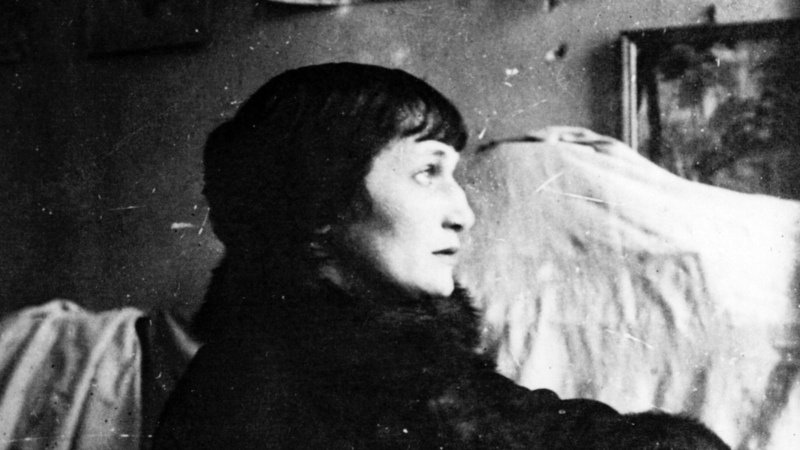 This week’s spotlight is on Anna Akhmatova, 1889-1966. A ghost, a thief, or a rat”. Anna married Nikolai Gumilev in 1910. When the Bolshevik revolution broke out in 1917, Nikolai was in Paris. Anna spent most of the revolutionary years in St. Petersburg. Although still married, both partners were openly seeing other people. Anna wrote that Nikolai had “lost his passion for [her]”. Despite their growing differences, Anna and Nikolai still had one thing in common; neither was willing to leave their motherland. Even whilst their friends frantically began to escape and emigrate in large numbers. Anna was not so adventurous. She committed herself to silence. In one poem, she wrote of trading freedom for the chance to stay in her beloved city. Nikolai remained an open monarchist. He crossed himself in front of churches. He hosted poetry readings. Then he was arrested. His friends, including many influential writers and creatives, such as Maxim Gorky, petitioned the Cheka for his release. After four interrogations, he was sentenced to death by firing squad. Anna’s first husband was shot on the morning of the 25th August 1921. The whereabouts of his execution and body remains unknown. The petition reached Petrograd 10 days too late. Indeed, Nikolai and Blok were not the first, nor the last people in Anna’s life to waste away under the new regime. Her son, Lev, and her husband, Punin, both spent many years in Soviet labour camps. Her husband never returned. Her friend and lover, the Jewish poet Osip Mandelstam, was sentenced to five years hard labour for criticising Stalin. He had written that “every killing is a treat, for the broad-chested Ossete. His fingers are fat as grubs and the words, final as lead weights, fall from his lips... His cockroach whiskers leer and his boot tops gleam... the murderer and peasant slayer”. Mandelstam died in transit in 1938. She watched as many of her friends perished. Some simply disappeared, others ran. Many died of disease. She watched as Boris Pasternak, and Mikhail Bulgakov, were tormented to early graves. 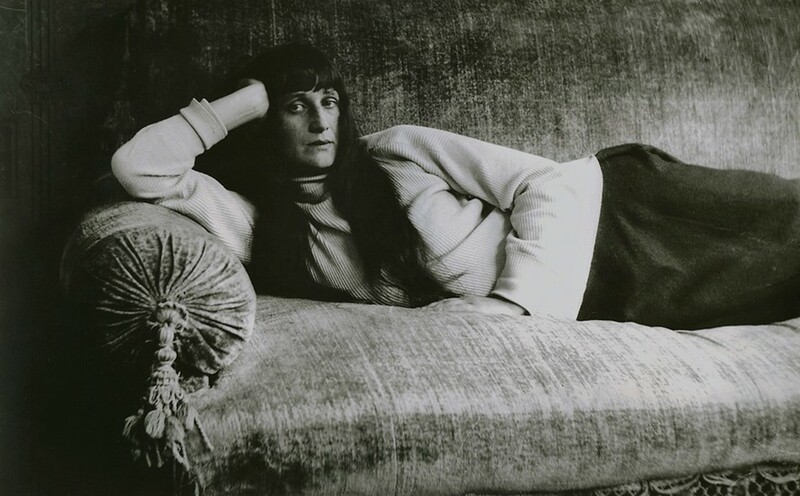 Her prodigy, Joseph Brodsky, was arrested for “social parasitism”. Fellow poets, Vladimir Mayakovski, Sergei Yesenin and Marina Tsvetaeva were all victims of suicide. They had been supporters of the revolution and the Soviet regime. Yesenin had been personally praised by Stalin. But even that had ceased to be a guarantee of safety. Tsvetaeva and Mayakovski had both worked for the party. During the Moscow famine, Marina had sent her child to an orphanage in hope she might have a better chance of surviving. The child died soon after. Mayakovski eventually became so horrified by the actions of the government that he shot himself in his home. The First Congress of the Union of Soviet Writers first met in 1932 and comprised of 700 members. Just over 20 years later, only 50 remained. It is estimated that at least 1,500 writers met their deaths in prison or camp during the Great Purge. Through the terror, Anna tried to remain apolitical. Already guilty by association, her poetry was unofficially banned in the 1920s as it had been deemed “politically unhelpful”. She would not be able to publish another book until 1941. It was an unforgivable fate for the woman who was known in Russia’s pre-revolutionary Silver-Age as “the Russian Sappho”. Anna had begun writing poems at the age of 11. 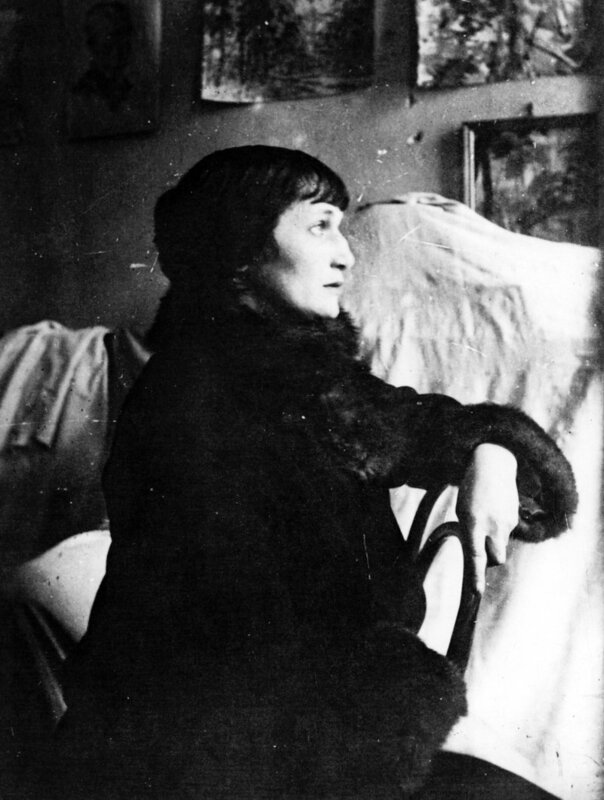 Despite being a distant relative of Anna Bunina, the first Russian woman to make a living solely from literary work, her father discouraged this practice, warning a young Akhmatova that it would bring shame on the family. Her first mentor would later become her first husband, Nikolai Gumilev. She met him on Christmas Eve, whilst shopping in a department store. He was instantly infatuated, but this was initially unrequited. Nikolai proposed multiple times, even threatening suicide if she rejected him. She eventually relented in 1909. 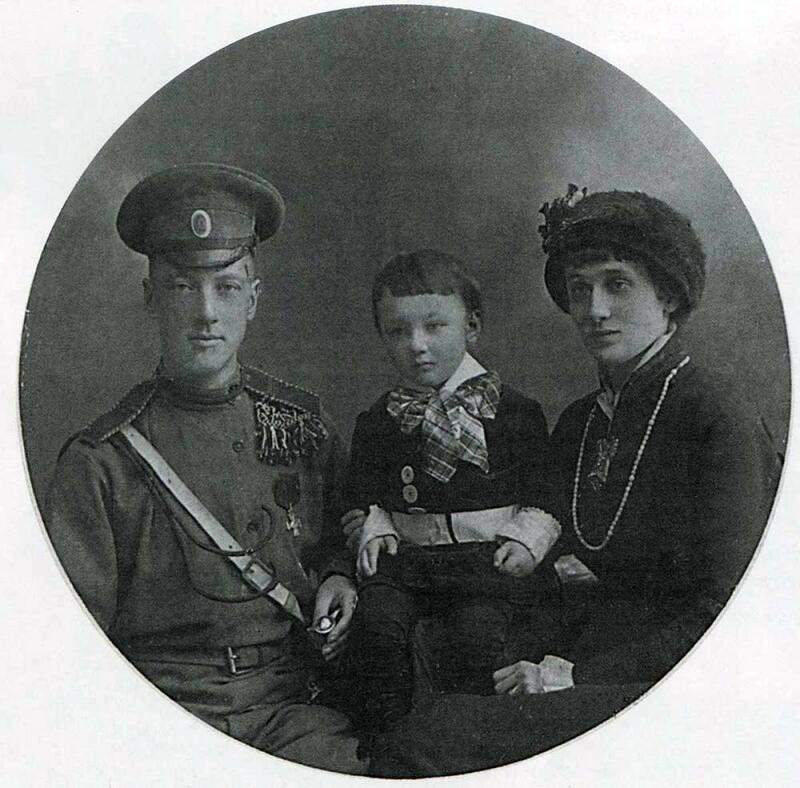 Anna briefly studied law at the Kiev University, but gave birth to her first, and only child, Lev in 1912. Despite her deep love for him, she never enjoyed being a mother, and Lev was raised by his paternal grandmother. The same year, Anna’s first poetry collection was published to great critical acclaim. She instantly became a cult figure in Russia’s booming literary scene. Her second book, published in 1914, was equally popular. 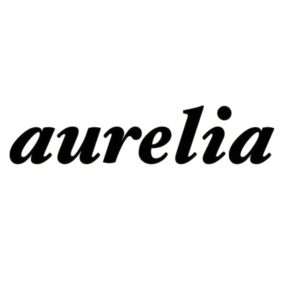 Alongside her husband, Nikolai, she became a leader of Acmeism, which grew in backlash to the popularity of Symbolist style and which valued clarity and lucidness. Alongside her talents as a writer, Anna was also well-known for her beauty and glamour. She was remembered as being a dignified and sad figure who cast a spell on many men. She was described by one lover as a “keening muse” and over 200 works inspired by her survive today; from painting, sketches, and mosaics to poetry and writing. To look even more svelte”. “Don’t you love me or want to look at me? Her focus on feelings of loss of love and happiness was at odds with the Bolshevik message, and her writing was deemed immoral and ideologically harmful. 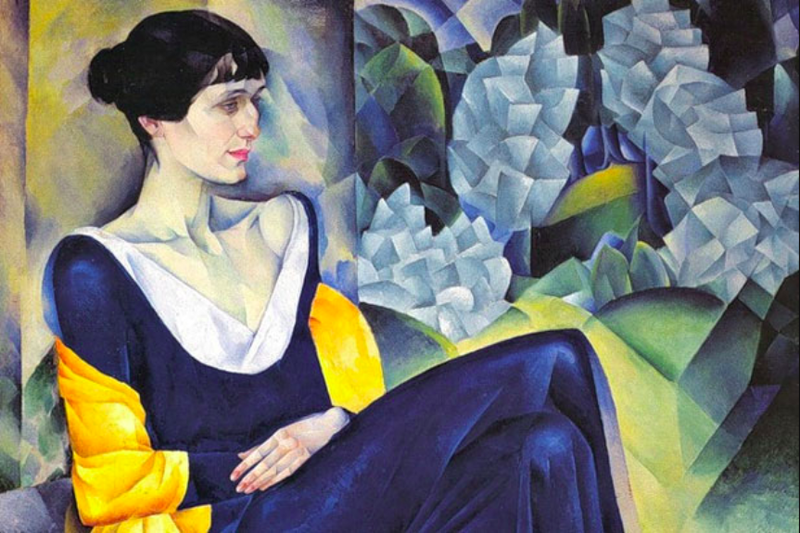 Her poems were feminine, and her support of the Acmeist movement was fatally reminiscent of the styles of 20th century classic Russian literature. In a condemnatory speech, the Party Secretary of Culture dismissed her poems as decadent and “pessimistic”, claiming they were rooted in Bourgeois culture. They criticised her “eroticism, mysticism, and political indifference” and dismissed her as “half-nun, half-whore”. Her flat was bugged, and Anna was placed under surveillance. Without support from the government, it was impossible to make a career as a writer. Even the ‘Stray Dog Cabaret’ was forcibly closed for not meeting the required censorship standards. Following the German invasion of Russia in 1941, Anna was permitted to deliver addresses to the women of St. Petersburg to lift their spirits. Still unable to write, she worked briefly at a library. She also authored various academic works on the classic Russian writer, Pushkin, and translated the works of many international authors; from France, Korea and Armenia. She wrote in secret; tributes to the long-lost world of her childhood, and dissident plays that she later destroyed out of fear. It was not until after Stalin’s death that Anna began to experience a small rehabilitation. By the 1960s, she was one of the last remaining poets of the so-called Silver-Age and was allowed more freedom to write, as well as permission to travel out of the country for the first time since 1912. She visited by poets such as Robert Frost, and received an honorary degree from the University of Oxford. However, it was not until 1963 that her true magnum opus would see the light of day. Now her most famous work, the poem-cycle, ‘Requiem’, was smuggled out of Russia and published in Munich. It had been completed years before, but Anna knew it was not safe to publish until long after Stalin’s death. It would go on to solidify her status as perhaps the greatest poetical critic of Soviet Russia, and by far the most well-known, despite not being officially circulated in her native country until 1987. Written over 6 years, Anna would recite the Epic line by line to her closest female friends, who committed each new draft to memory as Anna burned the small scraps of paper. One friend described it as a “beautiful” and “bitter” “ritual”. 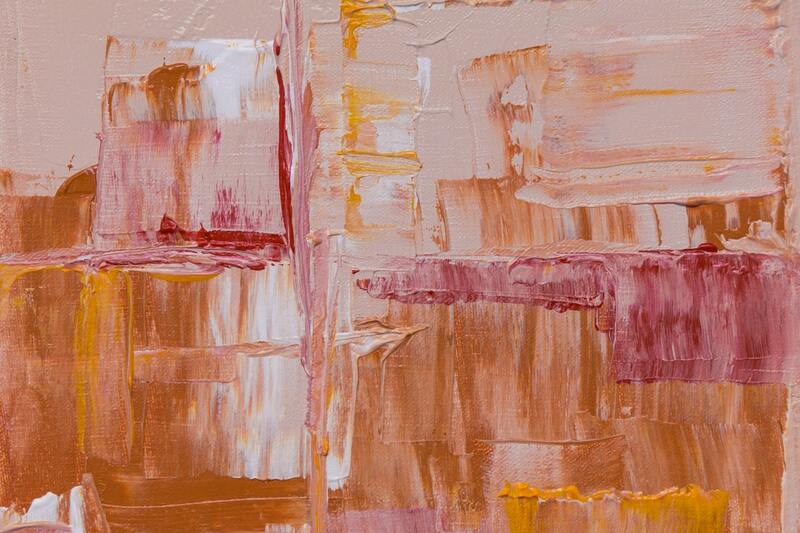 She remembered the flurry of “hands, matches, an ashtray”. Dedicated to the victims of The Great Purges that began under Lenin and peaked under Stalin and in which an estimated 1.2 million people died, ‘Requiem’ begins as a personal memory, as Anna describes the scene of waiting outside a prison with other desperate women hoping to hear news of a loved one. Anna stood in a line outside of the jail every day for seventeen months waiting to hear the fate of her son. Many different parts of the poem cycle are dedicated to her lost-loved ones who were persecuted by the Stalinist regime, but ‘Requiem’ grows to universalise Anna’s personal pain. She writes of how “one hundred million voices shout” through her “tortured mouth” as she turns her focus, switching between first and third person, to the voices of others who suffered loss. In the end, she implores us to remember this tragedy as a memorial to all those who were lost in it. She concludes that the only way to move past the most painful parts of your life is to never let yourself forget. In 2006, a monument to Anna Akhmatova was erected in St Petersburg, facing the prison where she and countless others waited, in remembrance, every day.